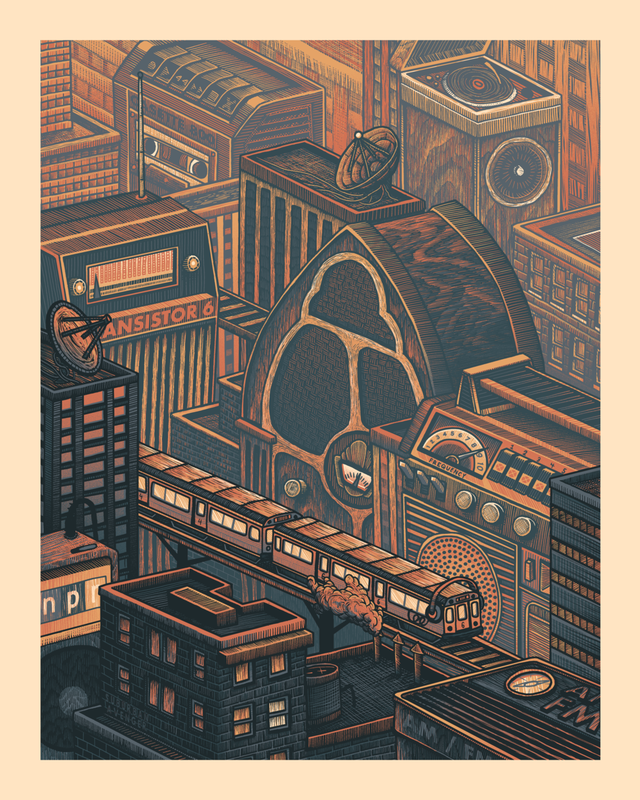 Took a short break from doing gig posters to create a poster for something that’s not far off from the music industry - the irreplaceable NPR. We were approached to make the first poster in a new series they’re starting, based off the prompt “NPR is the home for storytelling across america”. Was a hard prompt to work with at first, but sure enough everything started to fall into place. Had a lot of fun with this one.